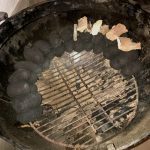 Smoking with wood is a great way to add a unique flavor to different meats. It is cheap and easy, and can be done on all grills, whether it is a gas grill, pellet grill, runs on charcoal or briquettes. There are many types of wood, in different shapes. Wood for smoking can be bought online from various sites. Chips are easier to find in your average grocery store. They are (by nature) smaller, and ignite a lot faster. Chunks are larger, take longer to ignite but last longer. So, which one is better? Chips (pecan) to the left, chunks (cherry) to the right. In terms of flavor, there is no difference between hickory chips vs hickory chunks (as long as you use the same amount). If you’re using a gas grill you place a handful of chips in a smoking box, smoking bag or an aluminum pan on top of one burner. The heat will make the chips ignite, producing smoke. Start with a handful, and add more after half an hour. If you use wood chunks you can place a few directly on the grill grates above the burner. 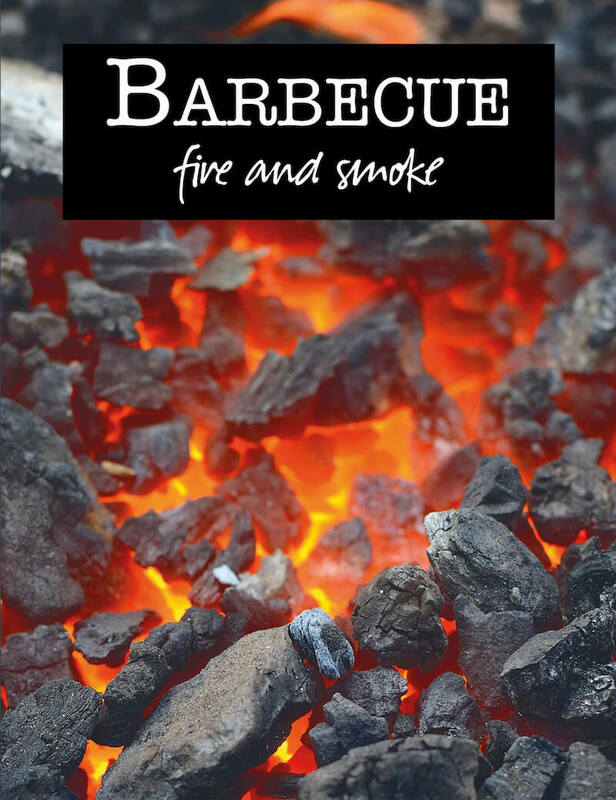 If you use a charcoal or briquettes on the other hand, chunks are for you. Place them directly on the coals. Usually you don’t have to refill, as they last a lot longer. That depends. 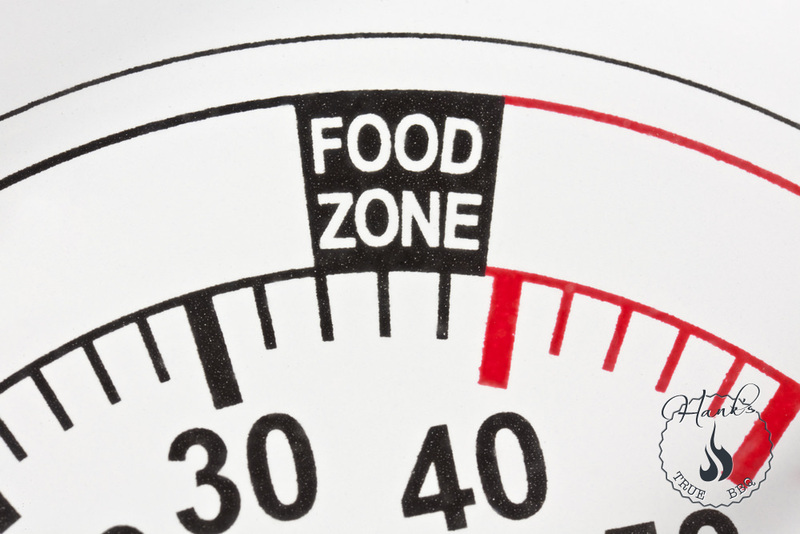 For chunks, start out with 3-4, and see what you think. If you like a lot of smoke flavor, add more the next time. When using chips, add a handful, and then add another handful 30-40 minutes into the cook. For how long should I smoke? Meat only absorbs smoke in the beginning, when it is cold. This typically means for the first 1.5 hours. This means you only use wood for smoking in the beginning of a cook. The meat absorbs smoke a lot better when it is cold, so make sure to bring it directly from the fridge to the grill when smoking. Some people recommend soaking wood chips in water first. I have tried it, but do not use that technique myself. The result is just a delay before they produce smoke, which is pointless. Also, you run the risk of lowering the burn temperature which stops you from getting a clean burn. If the burn temperature is too low this causes creosotes and other bitter substances to flavor the meat, making it taste bitter. If you place chips directly on the coals and feel they burn up to fast I recommend switching to chunks. Do not soak, in other words. How do I know the smoke is right? When you smoke with wood, you want thin seethrough smoke, with a hint of blue. If the smoke is billowing thick white, then you’re not doing it right. So keep an eye on the smoke coming out of your top vent or chimney. The color will guide you. Yes, you read that right. Wood is a fuel source. 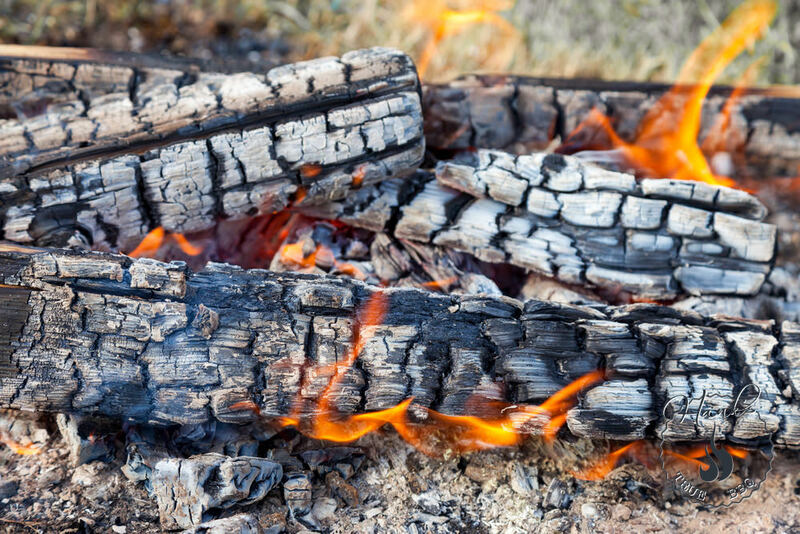 When wood is burnt there are three different parts: water steam, gas in the form of volatile organic compounds, VOCs, and charcoal. The charcoal burns, and the VOCs in gas shape burns. This is why it is so important to have the right burn temperature. If the VOCs don’t burn clean enough you get the bitter creosote flavor on your food. There are many types of wood. Not all of them are fit for smoking however. You want to use hard wood like oak, hickory, peach, pecan, beech, apple et.c. Softer woods like Pine or Cedar do not work well, as they contain too much sap. Some woods like apple, cherry, pecan and beech have a slightly softer smoke character. Others like Mesquite give you a stronger smoke flavor. Which one to use depends on your taste preferences, as well as what you cook. I have found that apple wood goes exceptionally well with chicken and salmon. 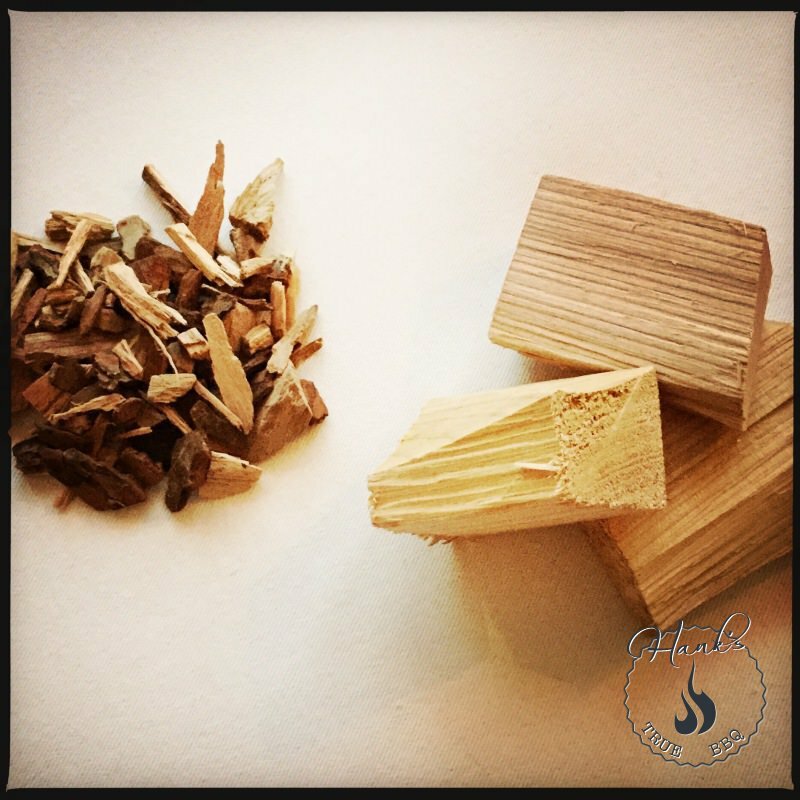 When smoking fish you want to use wood types that have a mild smoke flavor, like apple, alder or beech. For red meats most wood types work. I usually switch between cherry, hickory and pecan, where I use cherry predominantly for pork.